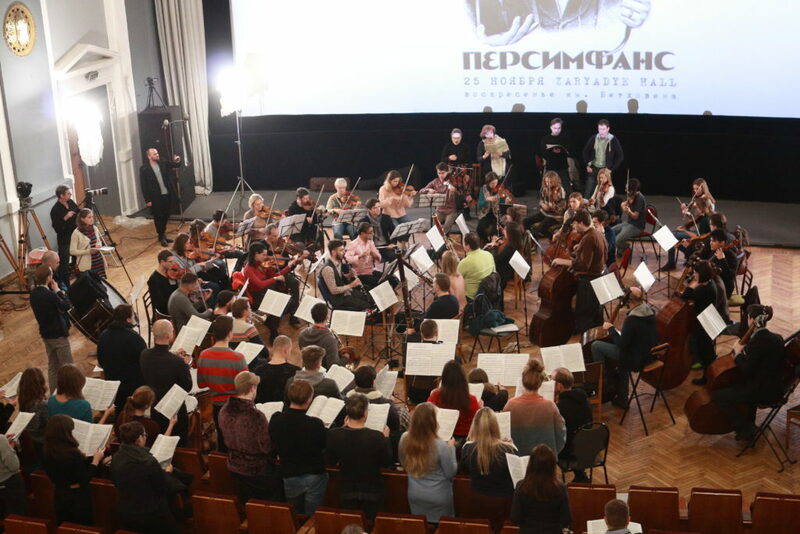 On November 24, an open rehearsal of the “Beethoven Sunday” program by the “Persymphans” Orchestra and the “Intrada” vocal ensemble was held in the Great NIKFI hall. 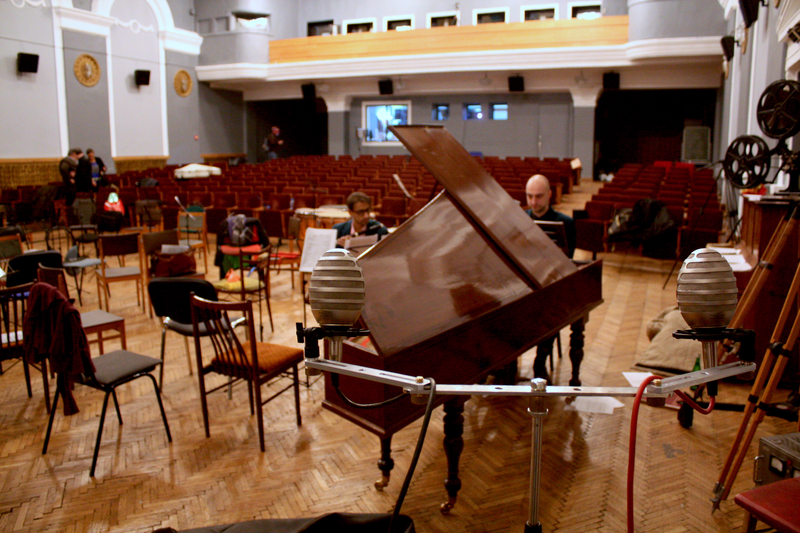 The “Persimfans” project was recreated in 2008 by the pianist and composer Peter Aidu. 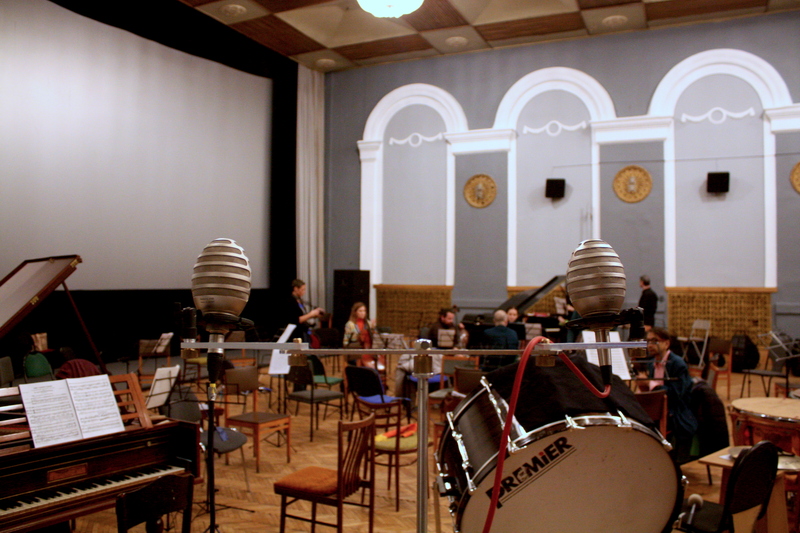 “Persimfans” (the first symphonic ensemble) named after the legendary conductor-free orchestra of the early Soviet years. Born five years after the October Revolution of 1917, Persimfans was guided by the progressive ideas of equality and fraternity. The orchestra played essentially without a conductor and went down in history as one of the most avant-garde groups in history. Each concert of “Persimfans” is an opportunity to hear music that you will not hear anywhere, be it Lyapunov’s Eastern symphonic poem “Hashish” or an aria from the cantata “Kremlin at night” for Myaskovsky’s stolophone (ChairFone). The program included parts of Symphony No. 9 for orchestra, choir and soloists. Performing of this grand colossus without a conductor is tantamount to a death number without insurance. All the musicians are sitting around, with their backs to the audience, facing each other. There is no conductor podium, there is no conductor himself, and every musician is a virtuoso soloist. Such a seating of musicians makes it especially difficult for a high-quality recording. 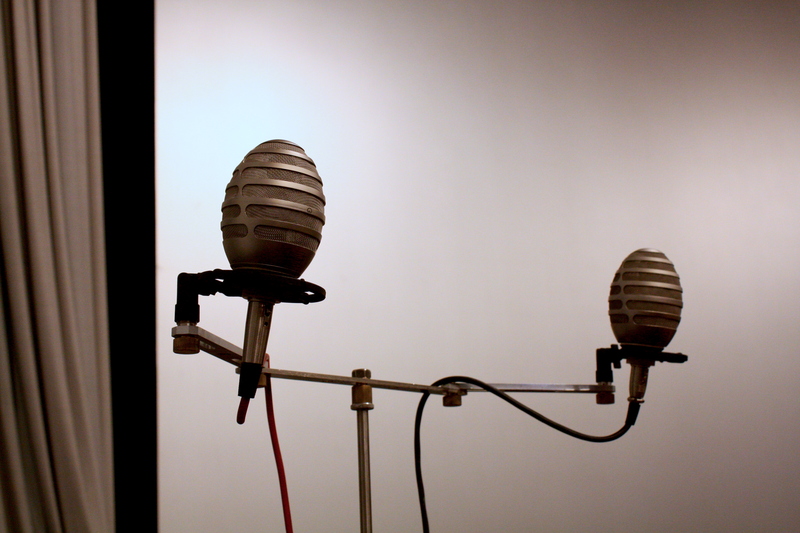 The stereo pair of NIKFI KMN15 microphones helped to ensure the high quality of the soundtrack of the video recording and the Internet broadcast. Webcast record available on the link.